Your mother was right when she told you to sit up straight. You may have shrugged her off when she said your posture was bad, but mom was onto something. It turns out that looking like a slouch isn’t the only negative effect of bad posture. It can also cause neck and back pain and a laundry list of other health issues. Sitting at work: We all know the dangers of prolonged sitting at work. Add bad posture to that list. Hauling heavy bags: Carrying that overstuffed purse or bag isn’t helping your posture. Texting or using the phone: Sometimes called “text neck,” the slouch we get when we look down at our phones to browse or text can cause serious problems. Moving your head to the side to talk on the phone may also cause these issues. Bending incorrectly: If you have poor posture or back pain, you may be bending over incorrectly. When bending forward, hinge from the hips, and always lift with your legs. These are very important body mechanics that can avoid injury and discomfort for a lifetime. Stress: If you’ve ever felt your shoulders creep up to your ears during a stressful day at work, this is stress at work in your posture. Release that muscle tension by keeping your back, spine and neck as straight and in line as possible. Take a look: Look at your posture in the mirror or have someone take a picture of you standing normally. Compare your image to photos of people with good posture and you’ll begin to see the differences. Get that standing desk: It may seem like the latest craze, but a standing desk allows you to keep that good posture throughout the day and improves your circulation. Look up when texting: Try holding your phone at eye level when texting and browsing. This will avoid the effects of text neck. Exercise: Moving and stretching often will keep your muscles stimulated and your posture long. Breathe: Deep breathing, which is breathing that comes from your diaphragm, requires you to stand up straight. Start the practice of deep breathing just a couple of times a day to trigger you to check your posture. Sleep right: Improvements in your own home can help improve your posture. The pillow you use on your bed should be under your head, not your shoulders. It should also be the amount of thickness that places your head in a normal position. 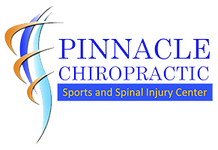 Visit your chiropractor: Your chiropractor is the best resource for keeping your spine straight and aligned. Making chiropractic routine visits, even when you aren’t in pain, will keep your back healthy and your posture on point.